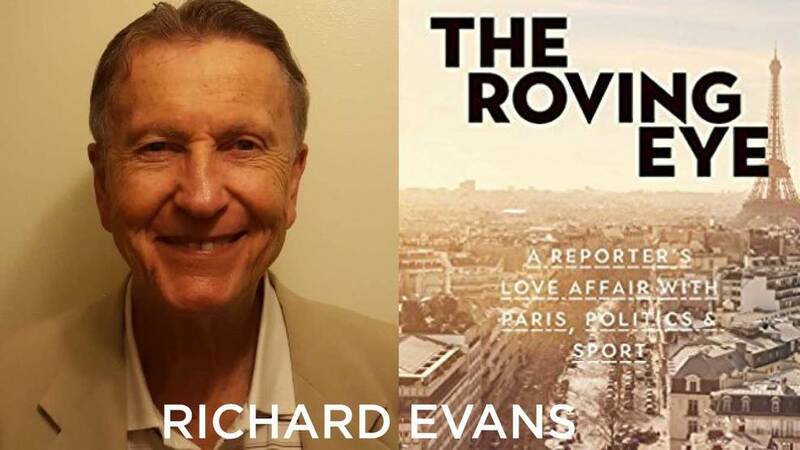 For the better part of the last six decades, no journalist has covered tennis more prolifically than the industrious, enterprising, insightful and internationally acclaimed Richard Evans. He has reported on nearly 200 Grand Slam tournaments, been on site at innumerable events of prestige to provide his perspective from all over the globe, gone everywhere in the sport that counts, and written with high intelligence, considerable flair and deep knowledge on the evolution of the game and the people who have mattered the most in tennis. This estimable British writer is a man I have known since 1971, when we met at the year-end Masters eventnow known as the ATP Finals in Paris. Across his productive career, Evans has worked for a variety of British newspapers including the Evening News, Evening Standard, The Times, Sunday Times, and The Guardian. He has written books on John McEnroe, Ilie Nastase, Open Tennis and many other subjects, both collaboratively and on his own. He wrote perceptively for two of the sport's most influential publicationsWorld Tennis and Tennis Week for long periods. He has been a commentator for BBC television, BBC Radio, CBS Radio and ABC Radio. At two different stages of his career, in the 1970's and again at the outset of the nineties, he was employed in prestigious posts by the ATP. Very few individuals have served in so many capacities and dedicated themselves to a sport as inexhaustibly as Evans has to tennis. At 78, Evans remains enormously curious about where tennis is headed and how he can continue to contribute to its well being by virtue of his journalistic skills. He has just released a new book entitled The Roving Eye, the same fitting name that appeared alongside the widely read columns he wrote for both World Tennis and Tennis Week starting in the 1960's and lasting until a decade ago. His columns for tennischannel.com have appeared frequently at the majors in recent years. In this recently released autobiography, Evans examines his rich and diversified life as a reporter, and there are some fascinating chunks on tennis that bounce entertainingly off the pages of this book from beginning to end. And yet, his reporting took him into many other arenas including soccer (or football as it is known on the other side of the ocean), cricket, rowing and rugby. Most interesting to me was the space Evans devoted to his coverage of American politics. He also ventured briefly into the world of entertainment, conducting interviews with stars of screen and stage and reporting for Entertainment Tonight. He was a foreign correspondent in not only the United States but France and Vietnam. Having followed his many decades as a tennis scribe where he seemed to be ubiquitous over the years, I had not fully realized how much he accomplished journalistically in other ways, particularly with the political pieces he wrote on tight deadlines for the British daily papers. For instance, his articles during the 1968 and 1972 Presidential campaigns are remarkably penetrating and perceptive. He was in his late twenties and early thirties when he wrote those pieces but he comes across as a man decidedly older and much more mature. In The Roving Eye, Evans draws on articles he wrote at that time for the newspapers during the Presidential campaigns, but also offers his current perspective as he reflects on the landscape he observed back in those two campaigns. His observations on the 1968 campaign are particularly moving. For example, he writes with deep conviction about Robert Kennedy, who was assassinated in June of 1968 after winning the California primary and looking increasingly likely to be not only the Democratic nominee but perhaps the next President of the United States. As Evans describes the torment within Kennedy as he tried to decide, "The way we dig deep enough to find our true selves, to find our souls, is what defines us. Bobby had a compassionate soul but it had been masked throughout his early life by the need to be the tough little brother, dedicated to doing the dirty work of politics for Jack, who was running for President. He was the tyke in the shadow of the glamorous sibling and he didn't have time to examine his own feelings, which were being suppressed for the greater good of the man who would be king. But the king was dead and the younger brother had agonized for months over whether he was prepared to reach for the crown himself." It is my belief that Evans's extensive reporting on world events and American politics shaped who he was and how he established himself as one of the leading tennis journalists of the past half century and beyond. But sometimes, of course, the demands of covering sport and politics simultaneously made it an arduous task for Evans to fulfill his responsibilities on both fronts. A case in point was in 1972, when he was at the All England Club for an epic five set final round Wimbledon battle between Stan Smith and Ilie Nastase that the American took by the thinnest of margins, but needed to catch a flight out early in the evening back to the U.S. to report on the Democratic Convention. The length of the Smith-Nastase duel meant that Evans had to rush out to Heathrow Airport in helter-skelter fashion to make his flight. "The last moments of that match remain a blur," he writes in the book. "I had my little red Triumph Vitesse parked across the street and I had a girlfriend lined up to take it off me at Heathrow. And I was trying to calculate the timing. What was the last minute I could leave? Come on, Stan, finish this thing! Eventually I knew what I had to do. Tapping my good friend Gerry Williams on the shoulder, I asked him to cover for me if anything truly dramatic happened after the match and was making a dash for the exit just as Smith was raising his arms in triumph. Beating the crowds out of the grounds, I proceeded to make the most of the more lenient speeding restrictions that existed at the time and, after literally throwing the car keys to my understanding friend, swept through immigration and onto the Pan Am 747. Flying in those days was actually that easy. Security lines didn't exist." Probably the most gripping chapter in the book is the Evans account of his trip to Johannesburg with Arthur Ashe in 1973, when the cerebral African American competed in the South African Open for the first time. It was a landmark occasion that in many respects transcended tennis, and Evans knew Ashe as well as any journalist did. Ashe advanced to the singles final and won the doubles that year with Tom Okker, but Evans looked at a bigger picture as he examined an outstanding tennis player who was larger than the game he played and a figure of growing worldwide importance and stature. Trying to put the beginning of that South African trip by the imperturbable Ashe into perspective as the American confronted a wide range of daunting racial challenges, Evans writes, "And so it startedthe complexities and incongruities, the ignorance and the simple unfairness that one met every step of the way. In those days so many people had opinions about South Africa, gleaned from what they had read or heard. But none of it made much sense even when you got there and you certainly couldn't BEGIN to understand unless you set foot in the country. That was why Ashe went. He needed to see for himself." During that South African trip, Ashe travelled to Cape Town and had a meeting there with an anthropology professor named Christoph Hanekom, who was accompanied by some of his students. Hanekom told Ashe, "We are still struggling with our colonial past. We are different cultures, different languages, trying to find our way together, and that is not an easy task." Ashe listened with typical self restraint and dignity as one of the students questioned the notion of racial equality benefitting the entire society. Ashe countered and asked how it could be justified that white citizens would make all the decisions while those of color were left out? One tennis official who had joined Ashe, Evans and others for this discussion was a man of color named Conrad Johnson, so Ashe looked at him and said,' What about this man? Why can you vote and this man can’t? Why are you free and this man isn't?" Professor Hanekom had no answer to that question, and he did not try to manufacture one. He said, "Mr. Ashe, that is the ace up your sleeve. I cannot defend that." Evans wrote in The Roving Eye, "Arthur Ashe had served many aces in his life. Few as satisfying as that one." There is a whole lot more of value in this book that is well worth mentioning. We learn that Evansan exceedingly well spoken manovercame a brief bout with a stammer as a teenager. We find out that he broke into journalism at 17, with more than modest success. We discover how Evans rose up the journalistic ladder as a young man with large dreams and high aspirations, and read how different reporting on sports was when he started. As he muses on his early days as a reporter in the late 1950's and examines the old clippings from his articles that are still in his possession, Evans is struck by the scarcity of quotes, recollecting how few he used in those days. He writes, "Looking back at my reports, yellowing with age in my cuttings book, I see that it was almost the only time I used a quote during the entire tour. That would be unthinkable in this quote-crazy age of endless press conferences, but it was just the style of the time. We had plenty of informal access to the players but virtually nothing they said found its way into print. The sports editors just weren't interested. There has been no more profound change in sports reporting than that." In the fascinating career of Richard Evans, there have been many profound changes. From the short form of newspaper reports, he expansively honed his skills writing about tennis for magazines. While he never stopped his daily reporting and the magazine work, he went on to write more than a dozen books. He devotes a chapter to his books and is candid in his assessments of the likes of Nastase and McEnroe. On Nastase, he writes in The Roving Eye, "The bad side of Nastase was pretty bad. He could say some disgusting things to umpires, officials and even opponents and he was always being fined and threatened with suspension. But, as was the case with John McEnroe a few years later, the amateur umpires in those days had no idea how to control such a tempestuous character and often made difficult situations worse. Once when I was working with the ATP, Ilie started acting up while playing the straight-laced Ken Rosewall and Jack Kramer asked me to intervene.... Taking a deep breath, I walked up to the side of the court at a change over and tried to softly, softly approach. 'Ilie, try and cool it,’ I pleaded. 'You're going to get yourself defaulted if you go on like this.' I received a Romanian stare straight out of Dracula casting, but we were good enough friends for Nastase to take heed and he calmed himself down sufficiently to finish the match." The book is filled with similarly rich anecdotes and recollections. One amusing memory from Evans concerns working with the renowned Fred Perry during his BBC radio days. "Obviously I learned a great deal from what he had to say as I threw questions at him and he always had interesting off-the-cuff answers, even when I interrupted his letter writing! During matches, he used to answer fan mail as I nattered on but I could never catch him out. Looking up in mid-sentence, pen in hand, he would say something like, 'Oh, Lendl should stand further in to return the McEnroe servetry and cut off the angle.' And then he'd continue with his letter. Been there, done it all, seen it allFred didn't need to watch every shot to know what he was talking about." Over the decades, through so many years of being in and around tennis, across different generations of players, Evans has always known precisely what he is talking about. Over the span of his lifetime, he has navigated and comprehended the game's inner workings and political waterfronts better than any other reporter, which is why he served two significant stints with the ATP. He writes of the initial experience, "I saw myself as something of a protector of the players, who were having to deal with the incredibly terse and high-handed attitude of some of the amateur officials who were still filling the roles of referee and umpires at many tournaments. I remember one incident at the Club di Circolo in Florence where the South African John Yuill had just come off court after an exhausting singles in the blazing Italian sunshine. He was sitting in the club house, red in the face, sipping a drink and trying to cool down when the grey-haired referee, adorned in his blue blazer and airing an attitude of pumped up authority, came up to Yuill and spat out, 'You, Yuill, you have no time for that. You are on Court 3 for your doublesNOW!" Eye witness Richard Evans would not stand for that. He writes, "I don't think he [the referee] was prepared for what followed. Grabbing him by the shoulder, I spun him around and thundered, 'Don't you dare talk to one of my players like that ever again! They are professionals and deserve your respect and as long as I am around I will ensure that they get it!' "
The referee was astonished. As Evans writes, "Just the look on his face was worth it. He had never been spoken to like that by anyone connected with a professional tennis player, who he obviously viewed as a species who could be ordered around. Yuill was allowed to finish his drink." One way or another, during his brief tenures with the ATP and his long devotion to the game as a reporter, Evans has been in the forefront of tennis for most of his life. All along, he has logged an astounding number of miles in pursuit of his profession. In the book, he cites a peak period in his time as a journalist in the early eighties when his travel schedule was almost inhuman. Evans writes, "I had an absurd traveling schedule at the timeas an example, the following year, 1983, I visited Guadalupe, New York, Rio de Janeiro, Guaruja, Philadelphia, London, Kuwait, Paris, London, Paris, Brussels, London, Milan and Monte Carlo from the end of January to the end of March, approximately ten weeks. That year I took 61 different flights on 21 different airlines. There were years when I topped 80 flights. Apart from anything else, I don't know how I paid for the air tickets because only occasionally did an assignment include expenses." In his introduction to The Roving Eye, Evans writes, "This is the story of a long, varied, and, I hope, interesting life. It is the story of a reporter's lifea reporter who turned himself into a writer and broadcaster, skills that overlap and intertwine." It has indeed been a very intriguing life. I have known Evans for almost 46 years and have long admired the clarity of his writing and the agility of his mind. Reading The Roving Eye, I was both entertained and informed about the man and his work, the reporter and his trade, and the many challenges and goals he has often met and sometimes surpassed. I encourage you to read this book. Richard Evans has indefatigably dedicated himself to a sport he loves, and his insights are more than worthy of any tennis fan's attention.